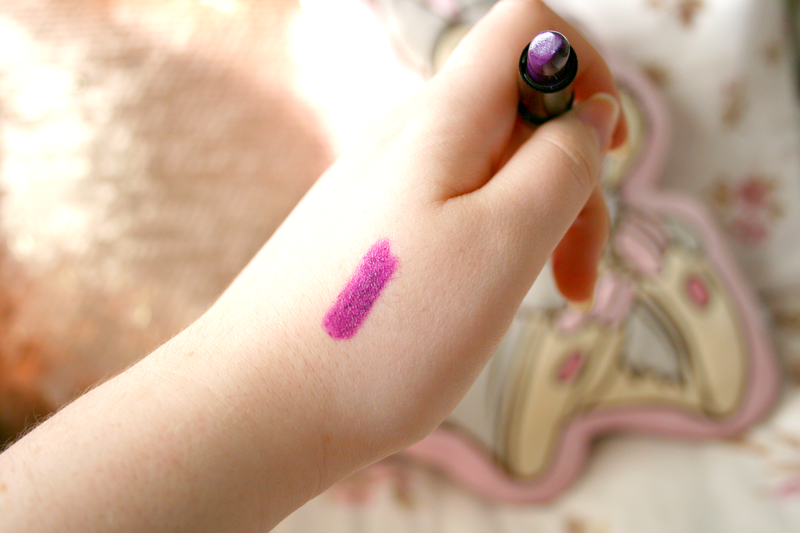 The perfect purple shade for those who don't want to go too bright or too dark with their lipstick. 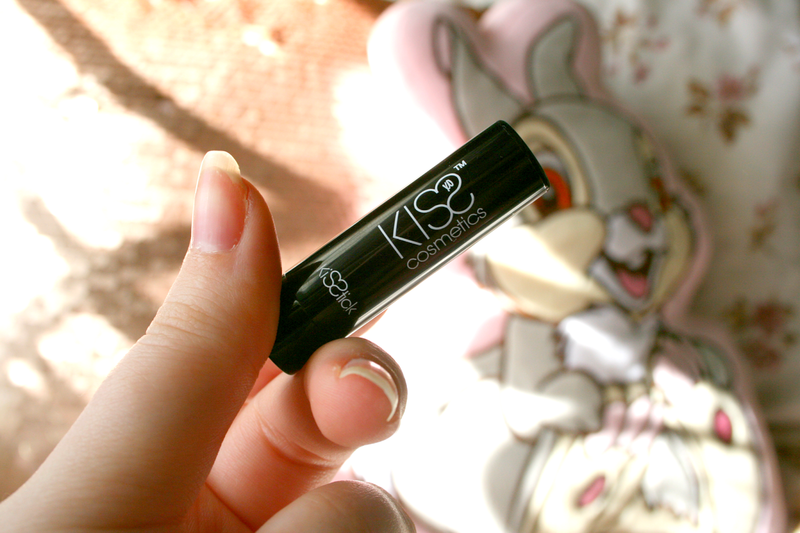 The Kisstick has a great colour pay off and lasts a decent amount of time before you have to worry about reapplying it. Something I did find though was you do have to be careful applying this colour as if you don't get the colour even it looks like you applied your lipstick in the dark and missed half of your lip. However something I do really like about Kiss Cosmetics is the fact they offer sample sizes such as the one above for their lipsticks before you fully commit to buying a full sized one because let's be honest there is nothing more annoying than buying a lipstick and absolutely hating it. The sample sizes will cost you £2 while full size will cost you £7. The colour is definitely a statement piece which is perfect for the Autumnal makeup looks we all adore. Yes it disappears while you're eating/drinking but I've found Lipcote (post here) helps it last a little better. 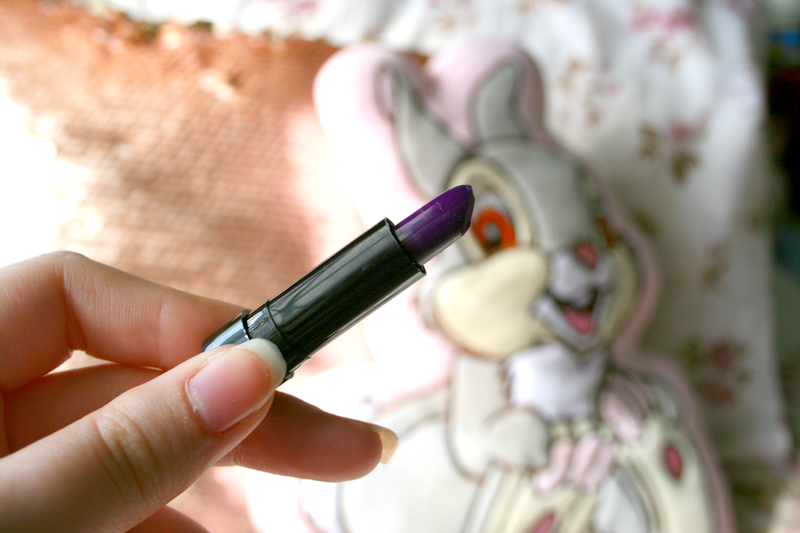 It's definitely one to consider though if you are on a budget and looking for a purple lipstick. Also I really like the minis because you could buy three different shades to try which would be the same price as one full size. So you get to try three instead of one! You can find more of their products on their website here. Have you tried any Kiss Cosmetics yet? How perfect would this be for Halloween though? Plus it's also practical for this season! The lipstick is so cute and tiny! The color looks beautiful! Wow this little lipstick definitely packs a punch! Gorgeous purple! Its size makes it so adorable! Love that there are sample sizes for purchase, and gah, I love the shade!